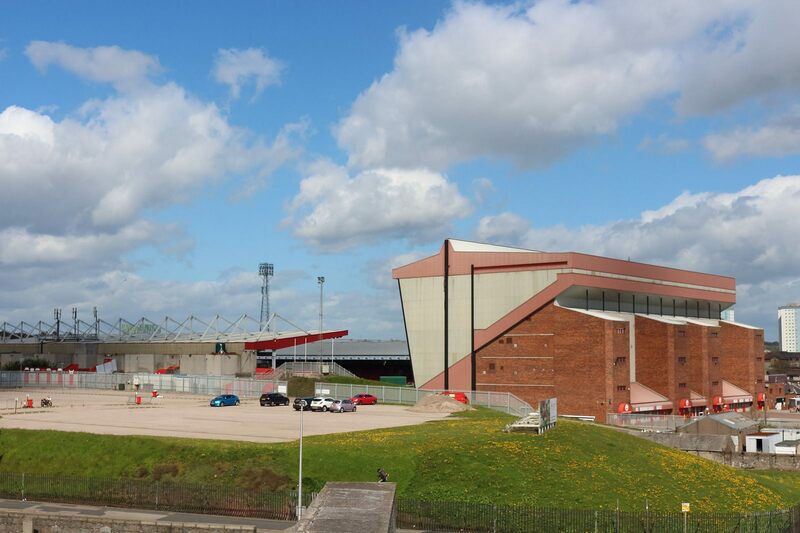 Late into the 19th century this stadium’s site was used as a dung hill for police horses. 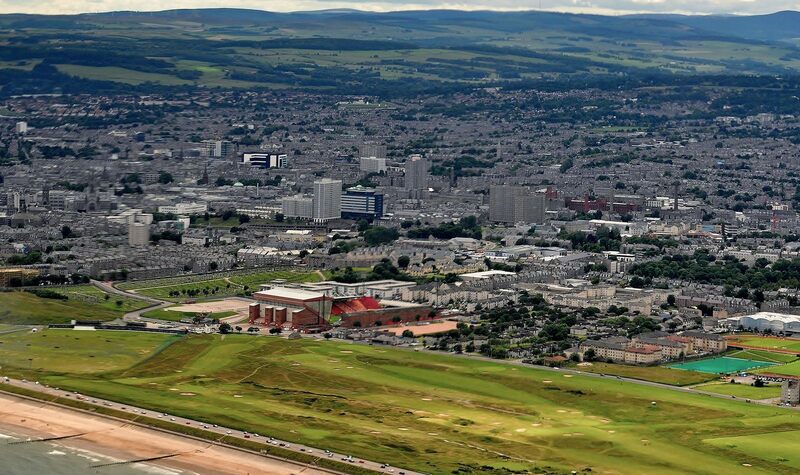 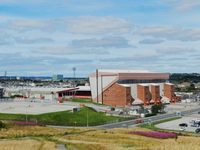 In 1899 it was selected by the newly-formed Aberdeen football club (since 1903 Aberdeen FC) and within half a year the place was converted into a field with embankments around it. 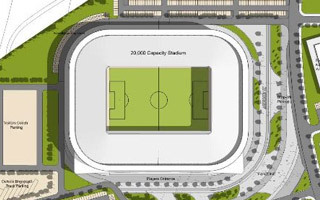 Due to its location on the east-west axis, the stadium has its main grandstand in the north. 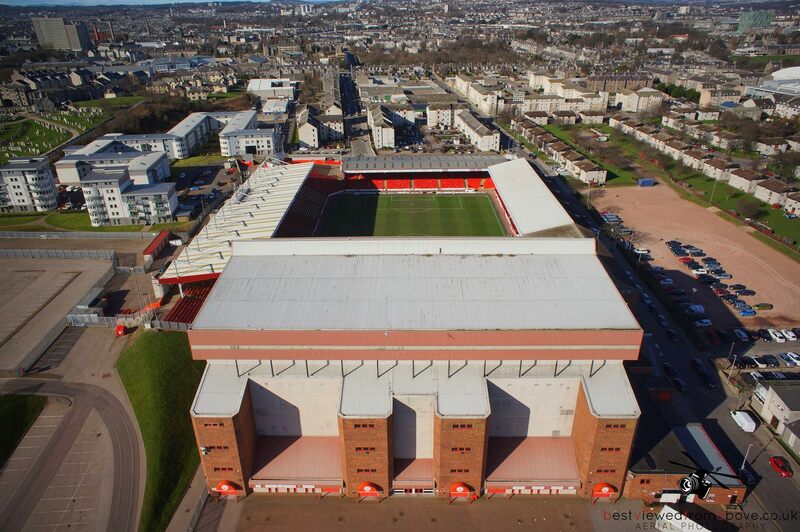 It was built in 1925 and to this day has very outdated roof with numerous pillars, even after a massive fire consumed significant parts of it in 1970. 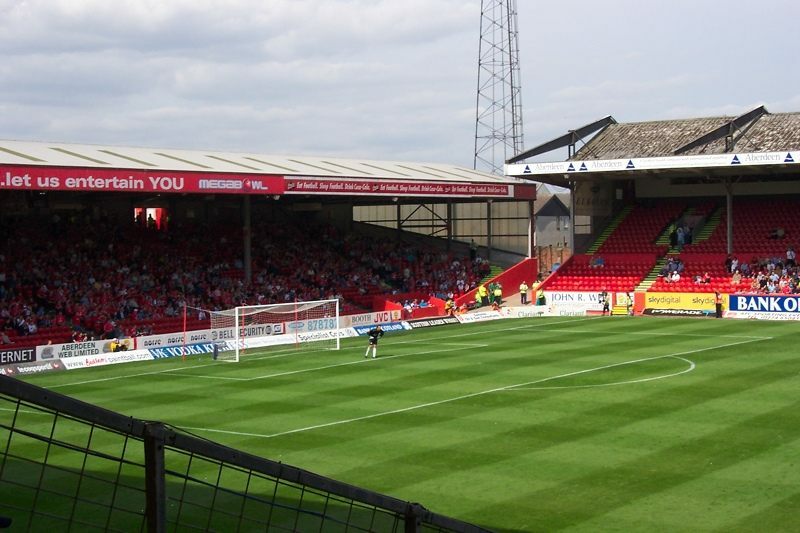 Interestingly, this is the very first stadium to have dugouts, commissioned by manager Donald Colman. 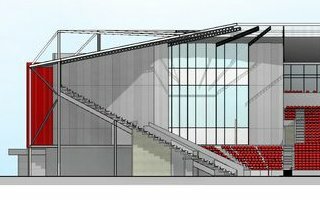 First with dugouts and second, at least within the UK, that was converted into an all-seater already in 1968. 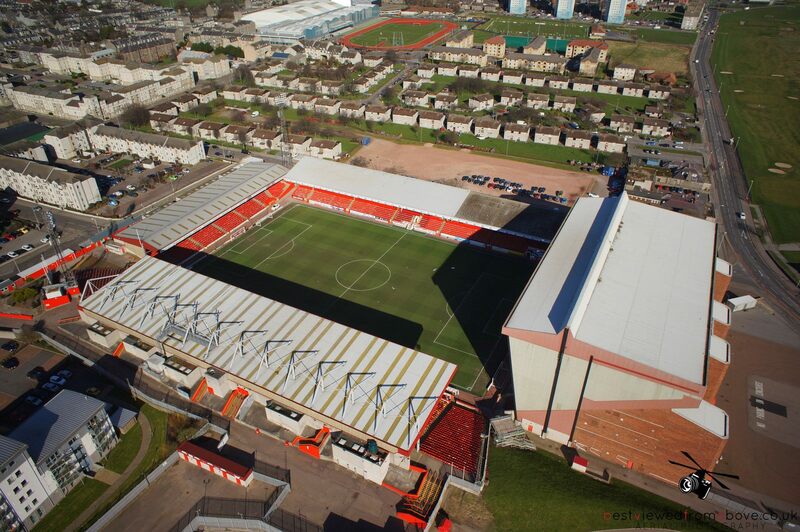 Almost a decade earlier Pittodrie was equipped with floodlights. 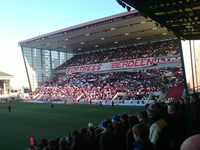 West side is occupied by the family section, called the Merkland Rd End. 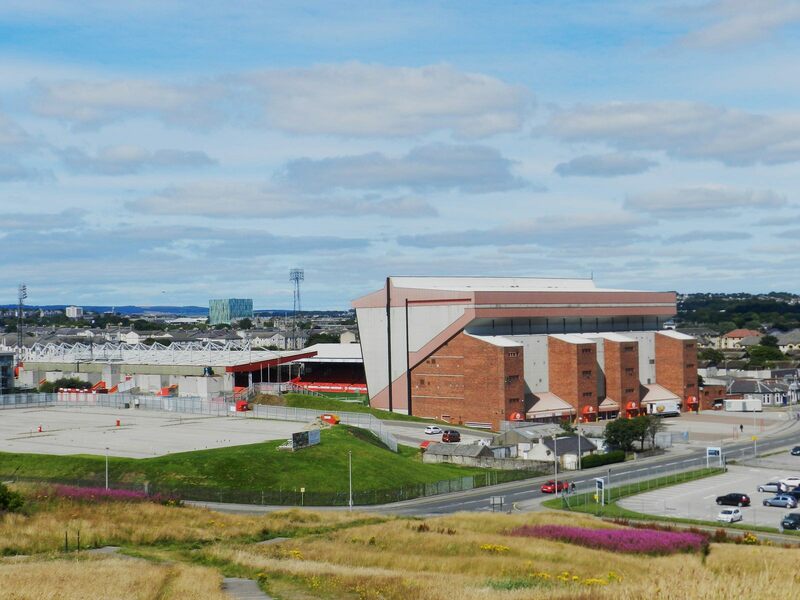 It’s known for the granite façade and is partly based on embankment remembering the old days. 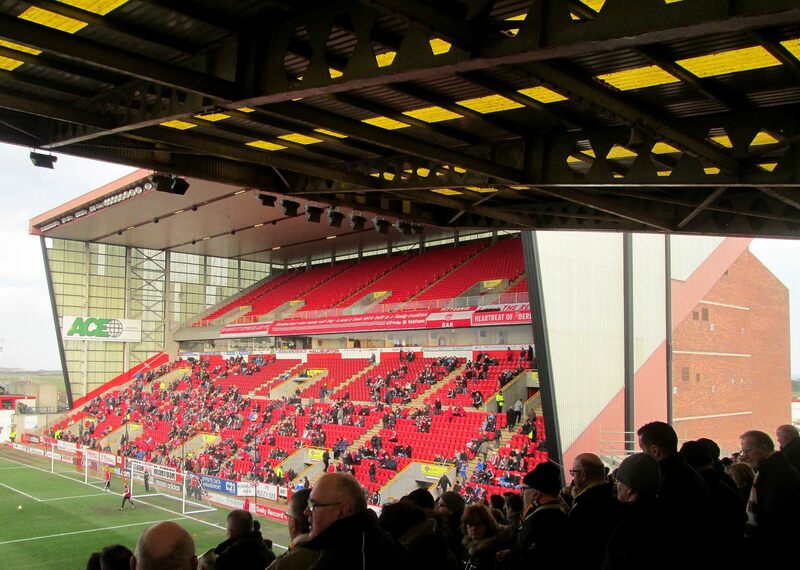 It’s the same with the south side, which was a largely undelivered terrace for most of its existence. 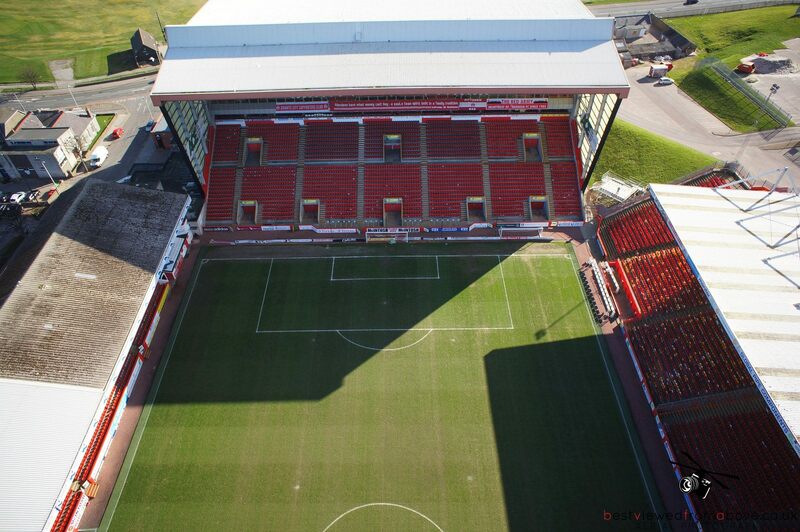 In 1968 it was covered. 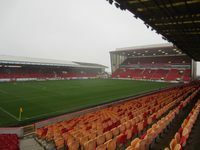 East end is occupied by the Richard Donald Stand, only one to be built in the post-Taylor era. 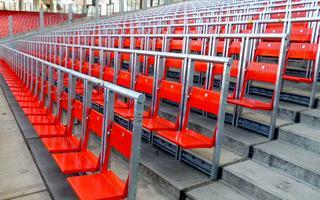 Erected in 1993 at the price of £4.5 million, this section is the only one to have two tiers. 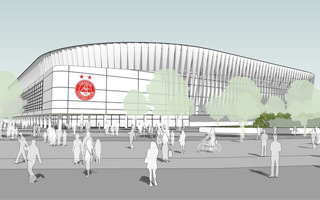 It also houses 12 private boxes and large hospitality facilities for banqueting and non-matchday revenue. 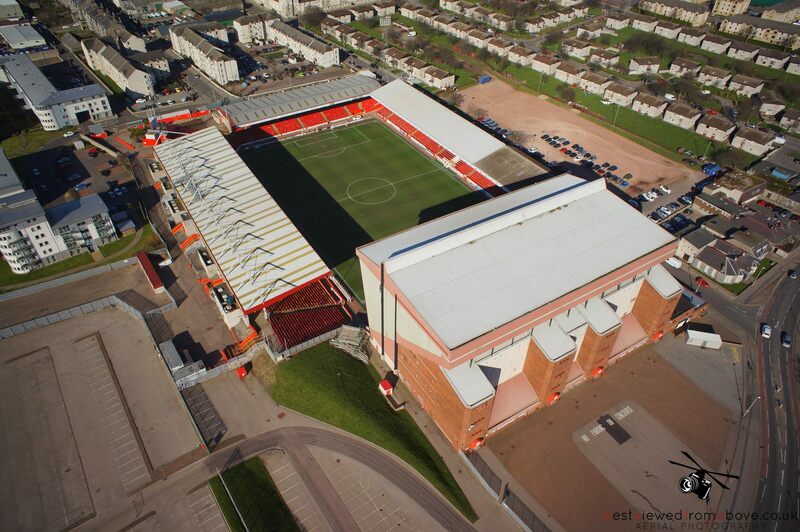 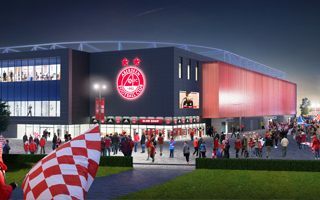 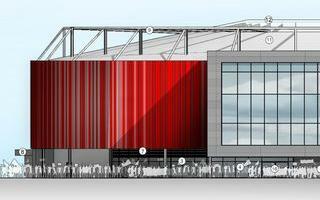 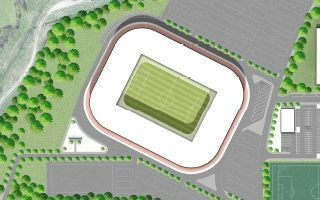 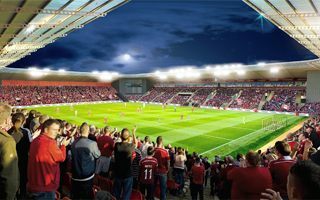 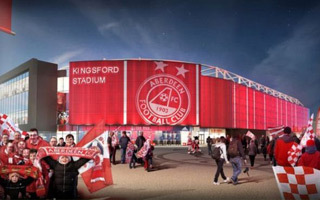 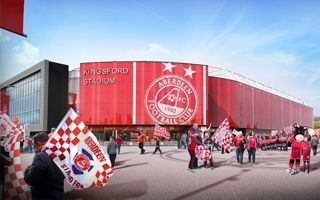 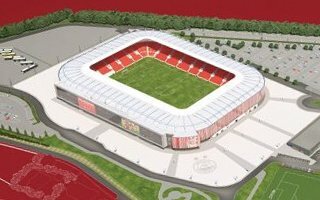 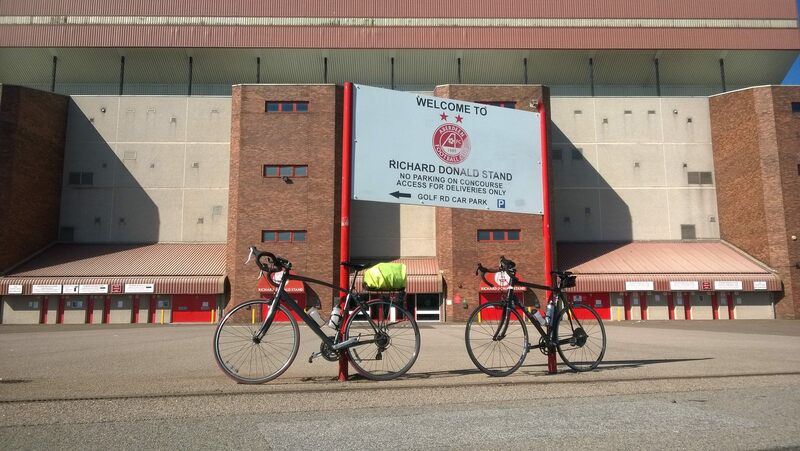 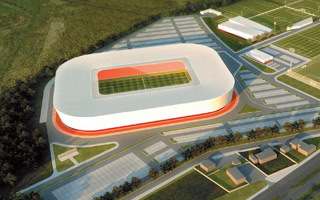 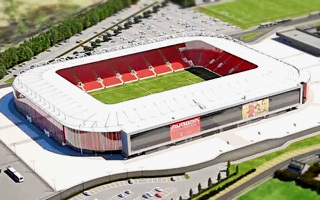 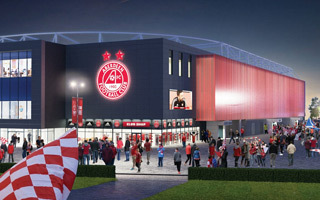 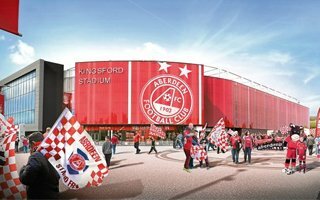 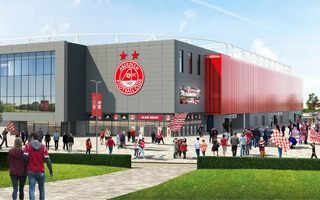 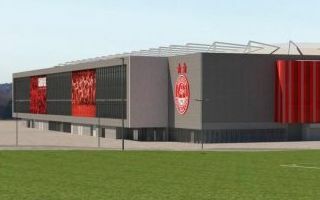 As reported by the BBC, Aberdeen FC's plans for a new £50-million stadium have been given a legal go-ahead. 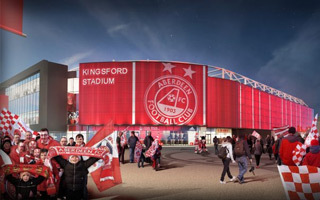 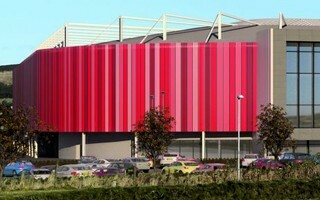 Court has refused to accept petition by opponents of the stadium, who argued the local council committed an error of law.